Wikipedia says "...Fiat 242 was a van which was produced by Fiat from 1974. 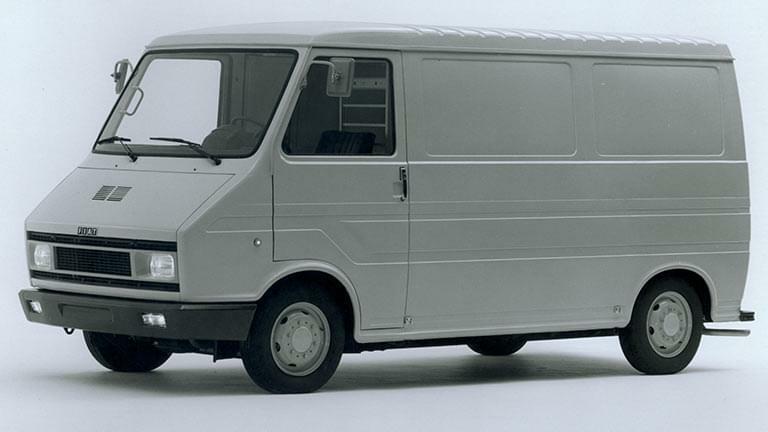 This van was the result of a cooperation with Citroën and was sold under the name Citroën C35 in France. 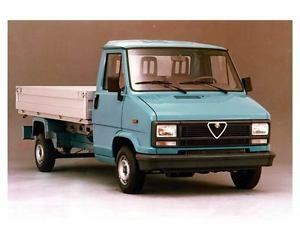 Both vehicles were produced in Italy till 1987 with Fiat engines, and then in France by Chausson, when Fiat discontinued the 242. Citroën retained the model until 1992. This cooperation was the precursor of Sevel..."
I genuinely really really like that. I'd also like to contribute the Alfa AR6. 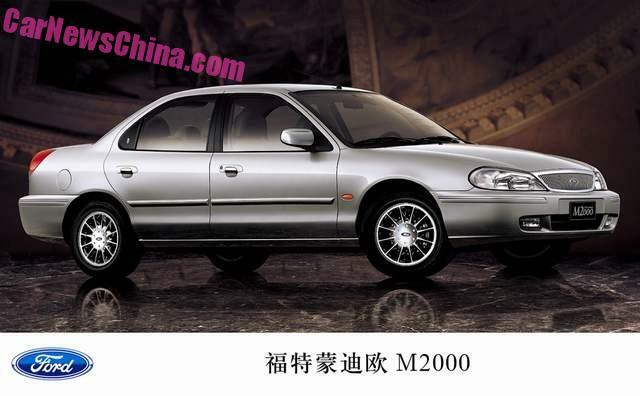 I didn't know that Ford Lio Ho (a Taiwanese Ford offshoot) built the 'Mondeo M2000' for the Chinese market based on the Mk2. Not sure which years, but I think after the Mk3 was launched elsewhere. Grille looks like it was pulled off a MK3. 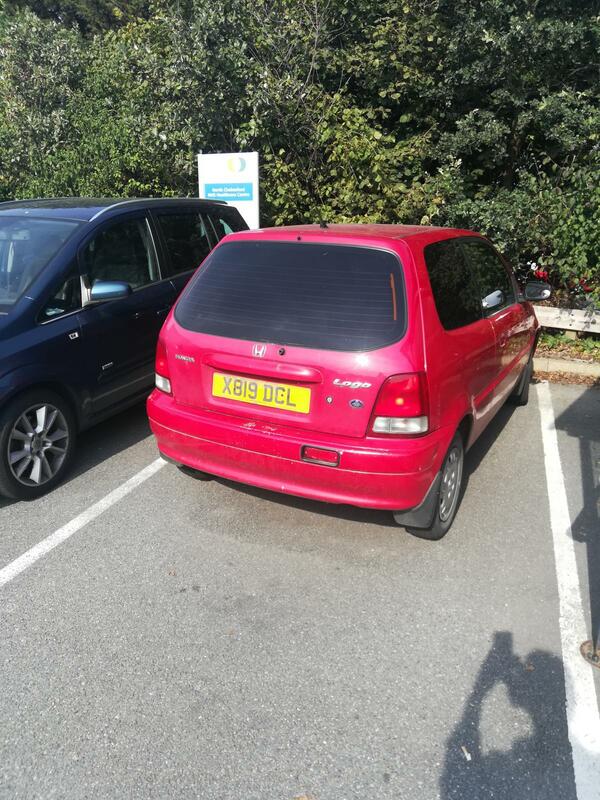 Since it's still winter here, it was about 4 degrees, so I'm sure there are better ways to start your trip abroad than cooped up in one of these, even if the one I saw had flimsy 'doors' covering the gap. I'm all for a bit of enterprise and all but why does it have to be so ugly? 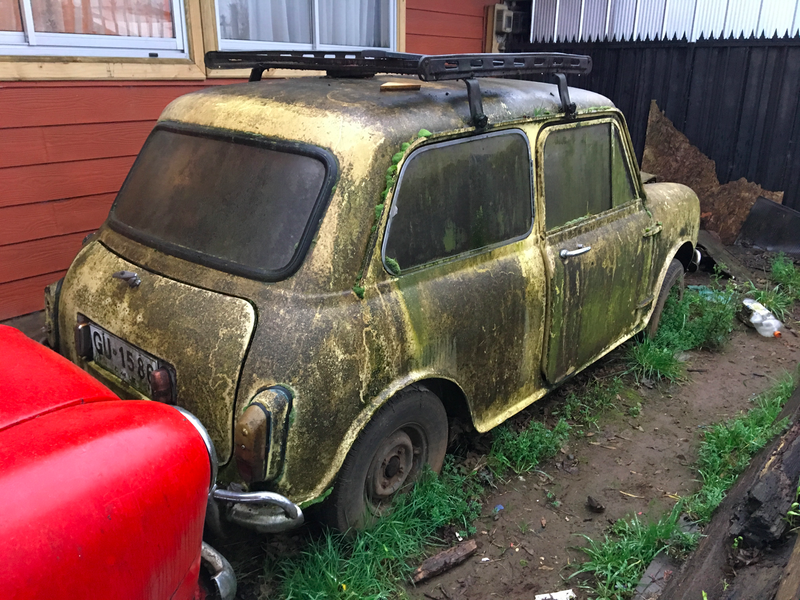 I just learned of the existence of Chilean-made Minis from this Jalopnik article. While British Leyland had been producing Minis and Morrises and Land Rovers and other cars in Chile from CKD (Completely Knocked Down) kits sent from the UK in the 1960s, the government of Chile at the time was pushing for greater manufacturing independence and less reliance on foreign production. This led to increases of the requirements of Chilean-produced content in cars, which was only 25 percent in 1962, but went up to over 52 percent in 1968, and then a staggering 70 percent in 1971. The only way British Leyland could make this work is if they produced the Mini’s whole body in Chile. Unfortunately, they were not selling nearly enough cars to justify the costs of a full body-stamping factory, so they had a very clever idea: make the bodies out of cheap, easy-to-produce fiberglass! counter to what you’d think, the fiberglass Minis were actually heavier than their steel brothers, and some even think they were stiffer as well. 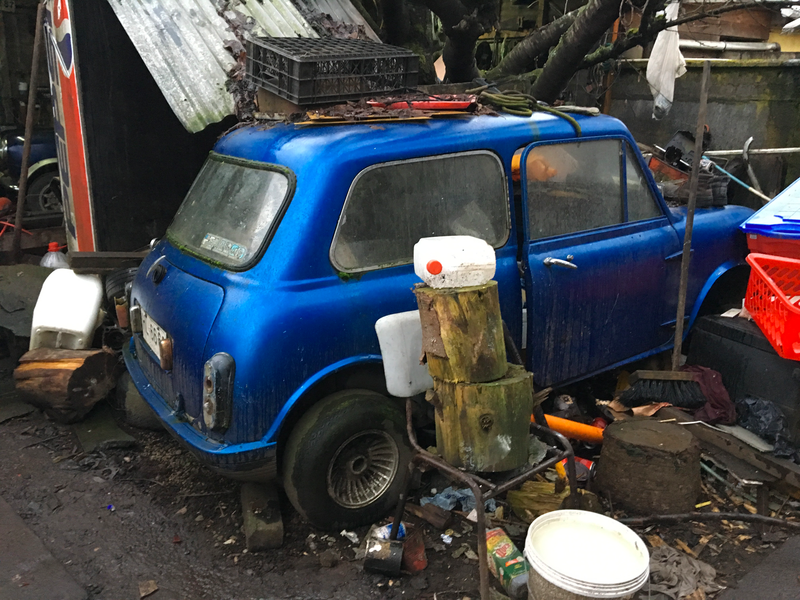 There was almost no British cars in Chile when i was there a few years back, I saw a steel Mini, a bubble Rover 200 and two Chinese built MGs. Here is a British Car I mistook for a Datsun b/c of the mirrors on the wings. Some wag claims it's an Austin A-40 Mark I of the Farina persuasion, whatever that means,(aVAYlabel at a junkyard in Montana....as we speak) and about 1959/1960 vintage. Not too goobered-up, considering it's over half a century old. Note the layers of paint oxidizing off the car, but no rust! O.K., the left headlight is looking out for better weather, and it's LHD. Too bad the transport cost to the UK is about 2,000 pounds more than it's worth, or someone might take a shine to it as-is & repatriate it to the home country. I dunno, have you seen the prices of UK A40 Farinas recently? If it could be shipped relatively cheaply, it might be actually worth it to get a rot free one. I'm guessing you mean a BMC Metropolitan which is, fundamentally, the same underpinnings as the A40 Farina shown there. It is weird seeing a Farina that's sun faded and with complete sills, they're usually either polished to within an inch of their life or a loosely assembled collection of bran flakes. Concerning the Austin A-40, It's at a place outside of Cutbank, Montana. No pictures showing the engine or word of it's Mechanical condition.The site called Bring A Trailer had a story about a similar one that ran, in Los Angeles, for sale for $2,500 in 2015. There's a 1964 Farina in near-mint shape for 5,700 pounds in Grantham, so I guess people will pay serious money for them. No worries on the missing windshield wipers, as they were optional, like radio and heater. I'd have thought wipers and a heater would be obligatory for a Montana winter, although I suspect A40 wipers and heaters are not up to much. Ooh yummy, apparently a tie up with Opel who made a GT. Looks the business but lardy at 1400kg. Dacia 1310, Zastava 1300, Zastava Florida, VAZ 2101-2105 with dual and single rotor Wankel engines. Saw this in Sainsburys earlier. 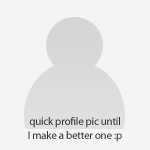 Pretty sure I've not seen one before. 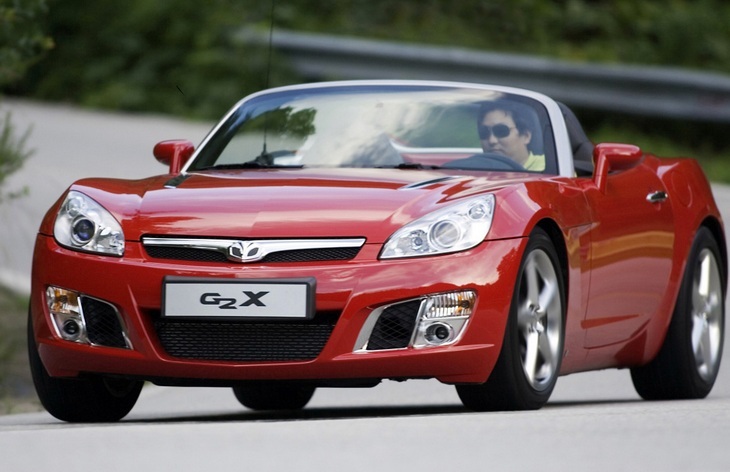 Saturn Sky as well, ofcourse. And...one of these, thought someone had been messing with my cornflakes! No, the other bit of GM. American Saturn Sky or Pontiac Solstice. 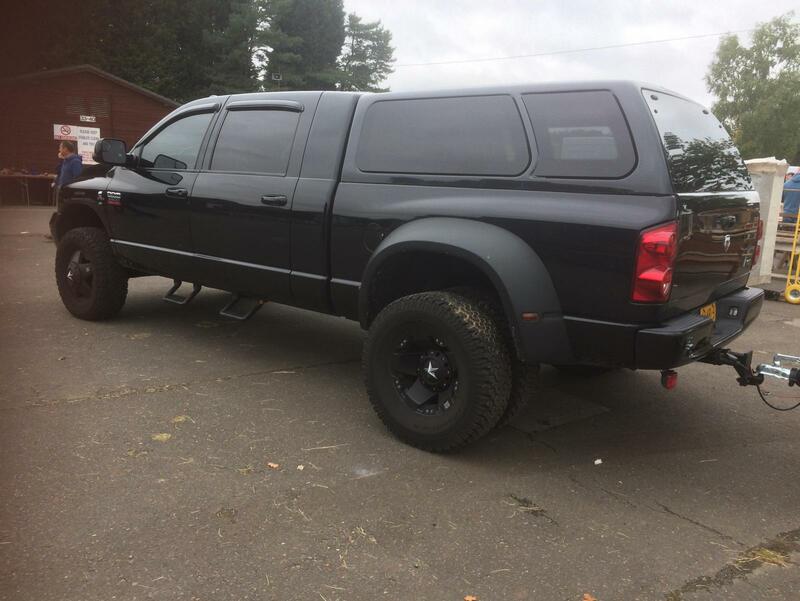 First, yes I have seen a Dodge Ram before, but this one is extra long and has twin rear wheels! 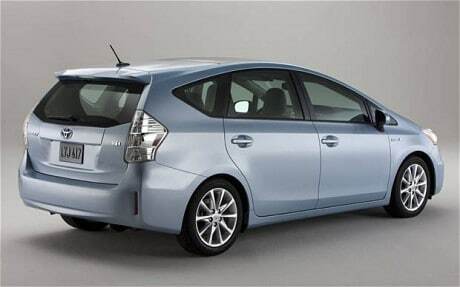 I've seen models with similar frontal treatment, but the rear & side is new to me. 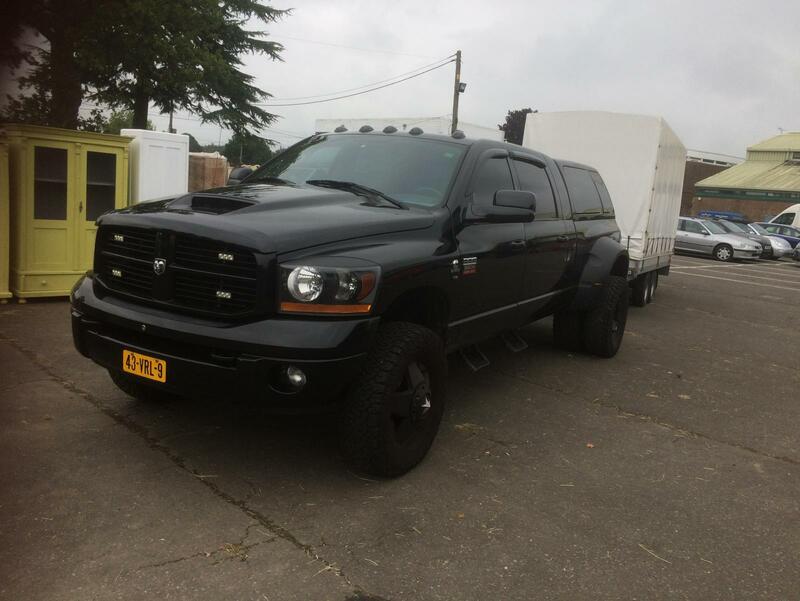 You can get the Dodge Ram in 1500, 2500 and 3500 flavours, I’m not sure on the exact details but cargo capacity goes up and the some of the bigger ones have twin wheels for load carrying. 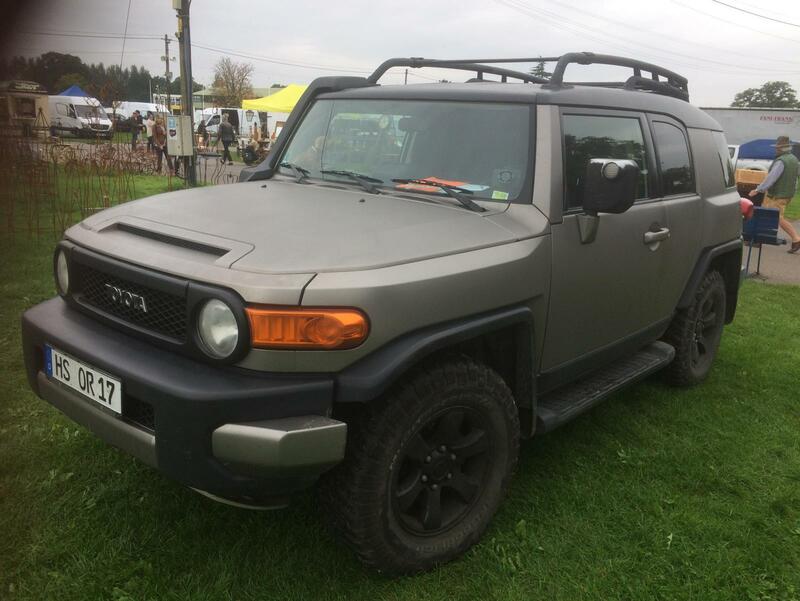 The Toyota FJ Cruiser looks normal to me, not seen any others with that front end. Unless you mean the original 45 series Land Cruisers? OK, I've just never seen the twin wheels before and yes, this was 3500. 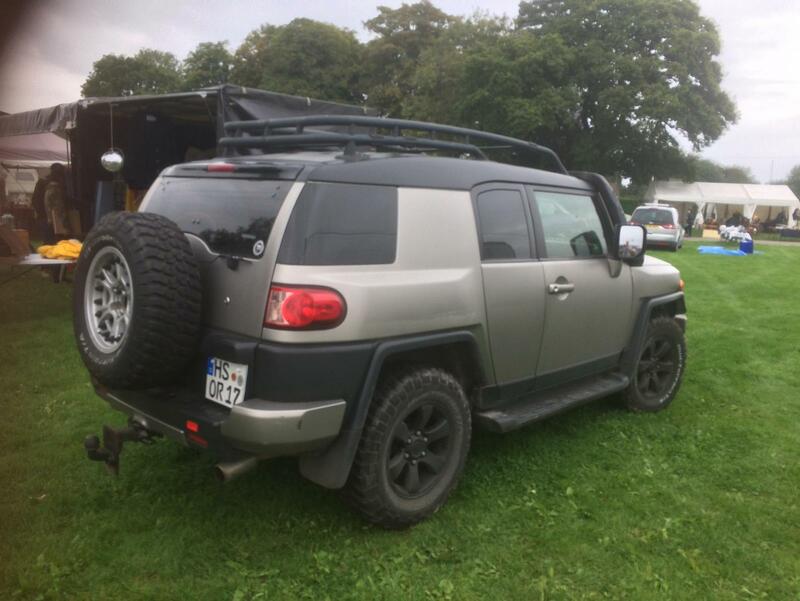 I have never seen that shape Land Cruiser before as far as I remember, were they sold in the UK? Quite liked it! Yugo Sana in pickup flavour! 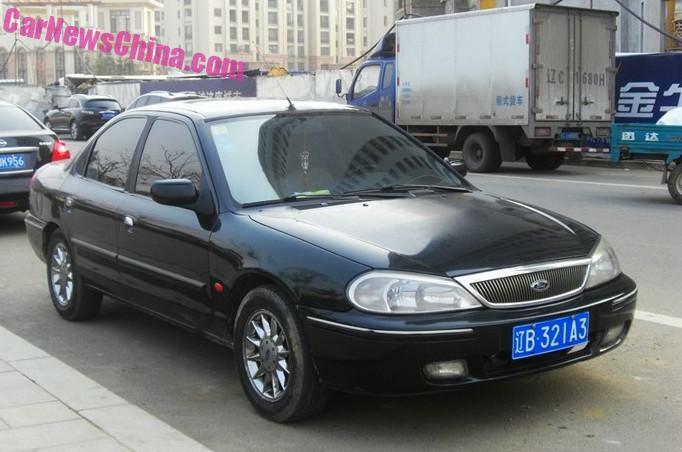 They were aimed at North America, v6 petrol only so limited appeal elsewhere.